Although based in Mexico, Hridaya Yoga is being taught around the world. The Heart Space in Australia offers Hridaya Yoga and Meditation Retreats, courses and drop-in classes and private sessions. Check out an interview with Heart Space’s founder Tamara in our Branch Spotlight. Spanda School is the Hridaya Yoga Branch in Perth, Australia located in a lush urban artists’ warehouse in Fremantle. We have provided a beautiful community space where beginners and advanced practitioners can come and enjoy the teachings of the Heart. We offer Hridaya Hatha Yoga, 6-week Hridaya Meditation Courses and Hridaya Silent Meditation Retreats. Atmanjali Yoga in Vienna, Austria offers Hridaya Yoga and Meditation retreats, courses, and drop-in classes. They also provide private sessions in business environments. Check out an interview with Atmanjali’s founder Christina in our Branch Spotlight. Anuttara Ashram is an off-grid, spiritually intentioned community tucked in the mountains of the sacred Nass Valley, BC, Canada. A team of aspirants has co-created an inspirational space of spiritual dedication and growth. As an ongoing initiative, Hridaya Yoga Classes, Meditations and Retreats are provided, as well as a transformative Karma Yoga Program. In the stillness of the Nass, Nirav brings the Hridaya teachings of Sahajananda into every day life at Anuttara. Surrounded by old growth forest, mountains, waterfalls and cliffs, days are filled with karma yoga opportunities, meditation, hatha yoga, relevant teachings, Q&A’s and a simple “back to basics” lifestyle. Food served is vegetarian/vegan, accommodations are in cabins, dormitories and/or tents. There is a maximum of 25 participants. Book your space now! The Lotus Heart Centre is a member of the Hridaya Yoga family of Meditation Centres opening in various countries around the world. Hridaya Yoga and meditation classes will be offered on a weekly basis to guests and those from the local community who wish to attend. Hridaya Yoga lectures and retreats will also be held on a frequent basis; the dates will appear on our events calendar. 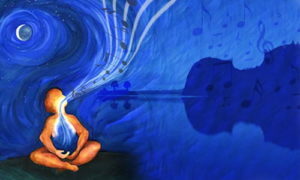 What it offers: Hridaya Yoga Classes, Hridaya Meditation Classes, Hridaya Workshops and retreats. Practitioners may choose a retreat of any length, from a minimum of five days up to several months. They can structure their daily schedule according to their own interests and experience. The Hermitage recommends a commitment to silence for the length of stay, and welcomes all practices and traditions. All Solo and Dark Retreats are supported with delicious and wholesome vegetarian meals each day, and access to an excellent home library of spiritual books. Also available are individual guided meditation or yoga classes and one-on-one retreat guidance. The Hermitage is an off-grid Retreat Center that supports and maintains permaculture gardens and sustainable living solutions. Inner Asana, an intimate center for only 5-10 practitioners, is an ideal place for in-depth Practice. Alejandro (Alex), who completed the Hridaya Teacher Training Course in 2015, offers advanced yoga classes (including pranayama and meditation) and pranayama and meditation classes. Classes include substantial time for individual work. Inner Asana also offers an intense and transformative Yoga/Detox Retreat with a twice-daily 2-hour practice of Hridaya Hatha Yoga (including pranayama and meditation). Detox Shakes with fresh herbs and aloe vera are served after every class. Inner Asana is located between the Holistic Cottage and the Heart Center on the path leading to the lake from Moonfish restaurant in San Marcos. Mahadevi Ashram is a peaceful haven for spiritual study & practice with a vibrant and inspiring community of like-minded souls, providing beneficial surroundings and a sacred atmosphere to explore the Inner Workings of Existence through the Fire of Transformation known as The Great Goddess. The Ashram’s eco-friendly enchanting environment of bamboo and earth architecture is set in a lush jungly garden by a lovely creek above Lake Atitlan with its three majestic volcanos. The tropical climate of Guatemala affords us comfortable temperatures of about 24ºC (75ºF) year-round. Main season is November-April, with the rest of the year being quiter (and greener). The Mayan heartland of “Grandma Atitlan” as the local indigenous population calls it is an ideal high-vibrational vortex to dive deeply into matters of Spirit and Truth. Based in a beautiful 1800’s colonial landmark house (protected by the INBA – Instituto Nacional de Bellas Artes – and INAH – Instituto Nacional de Antropología e Historia), Casa Hridaya recently opened its doors to the public in Colonia San Miguel Chapultepec, Mexico City. Located near the Bosque de Chapultepec (the Chapultepec Woods – the lungs of the city), Casa Hridaya’s intention is to bring the teachings of the Spiritual Heart to those living or traveling through Mexico City in order for them to have a physical space to start or continue the revelation of their true nature. Casa Hridaya offers Hridaya Meditation, Hridaya Hatha Yoga, and other yogic techniques on a daily basis (Monday-Saturday). We also share weekend silent retreats every month for those who are willing to dive deeper into the Heart with Hridaya Meditation. Tara and Paul invite you to Sahridaya Refuge, a community space in the sacred valley of Tepoztlán, one hour outside Mexico City. Our vision is to create a place of integration to and from the Hridaya Yoga Center in Mazunte. We feel this is the perfect environment to bridge spirituality and daily life, while we serve the community and support our family and sadhana. We recognize the importance and sacredness of family life and want our children raised in an open, conscious environment. Come and practice in our beautiful outdoor yoga hall, relax and enjoy the rooftop views of the mountains and surrounding valleys, live in a spacious house with the sangha, and support the project through selfless service. We offer monthly 3-Day Hridaya Silent Meditation Retreats, daily meditation and hatha yoga, conscious evening activities, and karma yoga opportunities. You will fall in love with Tepoztlan’s beauty, holistic community, and independent shops. It is accessible via frequent direct buses from the airport and Mexico City’s south bus terminal (Taxqueña). Check out an interview with Sahridaya Refuge in our Branch Spotlight. We offer classic, but Hridaya-inspired, hatha yoga four times a week as well as private classes. We also offer weekend courses in classical hatha yoga and Hridaya Meditation. Hridaya Yoga, Peru is located in the “Sacred Valley of the Incas,” close to Cusco, the ancient capital of the Andes mountains. Surrounded by sacred mountains and temple ruins of the Incan empire, the Sacred Valley is definitely one of the power spots of South America. The community of Pisac, at the base of ancient sun temples, is a meeting place for conscious seekers from all over the world. All kind of spiritual traditions come together here and many different teachings and events are offered. We offer meditation and yoga classes, tantra workshops and silent meditation retreats in the Sacred Valley and at Lake Titicaca. The Kamala Center was founded in 1995 by Liviu Gheorghe and Simona Trandafir. Lectures on spirituality, natural therapies, parapsychology seminars, the first exhibition of yoga and astrology in Romania, the first herbal stores in Brasov, and assistance and advice in the these domains were organized by the Kamala Center from the very beginning. There was constant activity to promote and support the practice of yoga and spirituality. In 1995, the Kamala Publishing House was also born, and many valuable books about spirituality, natural therapy and personal development were printed. After almost 20 years, we continue to practice and communicate with all who are interested in spirituality and transformation and who, in turn, seek to discover the wonder and sacredness of being. In 2007, Kamala became Kamala Yoga and Meditation Center and its co-founders are Liviu Gheorghe, Simona Trandafir, Sahajananda, Sebastian Teodor, and Veronica Cernat. After the Romanian Revolution of 1989, we met and we all became friends. Even then, we had the same beliefs and spiritual aspirations. We thought deeply and wanted to show others that it is possible to live life in a wonderful way, enjoying all that it provides. We knew we could be more, that we could improve and transform body, mind, and spirit to gain a feeling of daily miracles. We realized that without God, nothing is possible. We knew that yoga practice profoundly and authentic transforms people and this was an essential prerequisite to unite our aspirations, to fulfill our dreams, and to help others discover the beauty and the wonder of their existence. Hridaya Yoga has been the fundamental practice at the Kamala Center since 2007. In 2007, we organized the first-ever Hridaya Meditation Retreat with Sahajananda. Since then, we have held twice-yearly 10-day Hridaya Meditation Retreats with Sahajananda and other retreats during the year with the other teachers from Kamala. At the Kamala Yoga and Meditation Center, the activities are made in the spirit of Hridaya Yoga. By this, we aspire to live in the heart, the Supreme Reality, in God (but God felt beyond all religious concepts and definitions). In this way, we achieve oneness with all Life. Our vision is based on the philosophy of Advaita, the essential unity of all existence. We start from the premise that everything in the universe is an embodiment of the Supreme. Consciousness is revealed in each of us as Atman, the Spiritual Heart, the source of freedom, spontaneity, and our deepest happiness. Hridaya Yoga is our fundamental practice and it is based on traditional principles and spiritual visions. The methods used are mainly: Hridaya meditation, concentration techniques, calming the mind, and hatha yoga. Founded by the dedicated Hridaya teacher Adina (Saraswati Devi), Satya Sattva s a mind & body wellness center, a spiritual and esoteric study group, and a school of thought. We offer regular classes and workshops in Yoga and Meditation, and philosophy teachings in Hindu, Sufi, Shaivit, Daoist, Buddhist, Christian, and Judaism traditions. We organize classes and retreats in several cities in North Florida and Florida’s Space Coast (Fernandina Beach, Jacksonville City, Jacksonville Beach, Ponte Vedra Beach, Green Cove Springs, Titusville and Merritt Island). While most of our classes are open to the public, we also offer customized programs for organized communities, schools and institutions, as well as special needs groups – such as the elderly, the ASD children (Autism Spectrum Disorders), and at-risk populations in need of recovery and rehabilitation. Hridaya NW is dedicated to offering silent retreats and progressive spiritual teachings to awaken the Spiritual Heart – the essence of your Being. Our dedicated teachers lead 1 to 10 day silent retreats in the beautiful Pacific Northwest, in both urban and natural settings. As well, we offer the Hridaya Yoga Modules in Seattle that are accessible to people in their every day lives. Retreat leaders have a decade of experience leading people through the personal transformation of yoga, meditation and silent retreats. 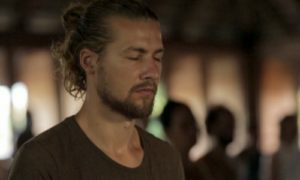 We start with the basics of meditation and concentration techniques and build your understanding and experience throughout the retreat. Practices are accessible for beginning meditators and experienced meditators alike. You’ll learn how to listen to deeper parts of yourself – like that voice that’s been trying to be heard for years – through yoga, meditation, breathing exercises, daily life contemplation, spiritual curiosity, compassion and intentional integration. We are blessed to host retreats in Whidbey Island in Washington State. You’ll drop into a quiet space of unwinding as you take the ferry across the Puget Sound and you’ll feel the desire to slow down, breathe more deeply and step into silence once you set foot on the island. Our home in the woods is surrounded by natural beauty, walking trails, wild deer, and the silence of the land. It offers a place to pause and unplug from the stimulation of day-to-day life and access a quiet, connected presence. The lodge and its grounds are a nature sanctuary available for reflection, writing, marking a major life event, healing, connecting with nature and learning sacred practices such as meditation, yoga and Ayurveda. Your retreat home is simple and understated to support sadhana or practice, to inspire clarity, vision and understanding of the interconnectedness of all life. You can find information about upcoming retreats here and yoga classes here.